Today’s new automotive functionalities are dominated by software-based systems. Even safety related functions heavily rely on electronic control units with large software systems. Major recalls of automobile manufacturers in recent years have shown the enormous impact quality problems could produce. 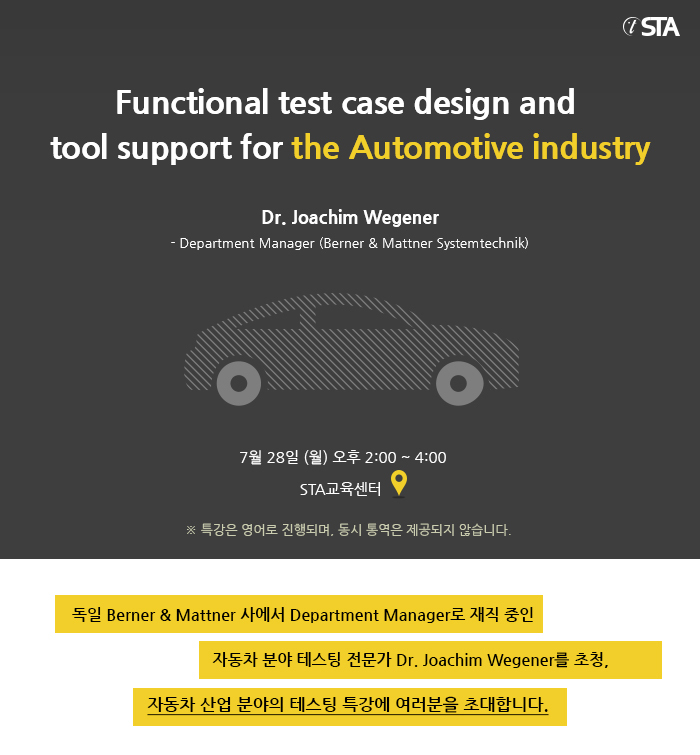 In addition, norms and standards regulating the development of automotive electronics have to be considered. Therefore, quality assurance techniques need to be applied very seriously taking into account the growing complexity and volume of systems. Testing is the most important quality assurance method, and its quality is determined by means of the test cases defined. Test methods guide the tester through the test design process. Most functional test methods could be covered with the classification-tree method and the classification-tree editor TESTONA. Dr. Joachim Wegener studied computer science at the Technical University Berlin and received his PhD from Humboldt University Berlin in 2001. His thesis work, “Evolutionary Testing of real-time systems’ temporal behavior“ gained him the “Best Dissertation in Software Engineering” award of the Ernst-Denert-Foundation and the German Computer Society, 2002. 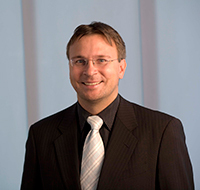 Dr. Wegener began his professional career as a scientist at Daimler AG Research and Technology. For DaimlerChrysler research and advanced development he led the software analysis and testing group as well as a group on advanced techniques in software engineering. Since seven years he is working with Berner & Mattner Systemtechnik GmbH - a product and consulting company for embedded systems development. Here, he is responsible for the automotive departments in Northern Germany (Berlin, Braunschweig, Cologne and Wolfsburg) as well as the Berner & Mattner product development. He is one of the international leading industrial researchers in evolutionary and systematic testing and has published more than fifty papers on static and dynamic testing. He is the inventor of the world-wide successful classification tree editors CTE and TESTONA with several thousand users worldwide. Berner & Mattner specializes in systems engineering, development and testing of complex electronic and mechanical systems. We offer a variety of services ranging from consultancy, conceptual design, software and system development to the setup and operation of entire test and integration systems. Berner & Mattner is a pioneer in model-based technologies and has been an important development partner to world-wide leading companies for 35 years. In doing so Berner & Mattner optimize efficiency and quality of customers' software and system development. This is why leading companies such as AUDI, BMW, Bombardier Transportation, Daimler, Deutsche Bahn, Siemens and many more have been placing their trust in Berner & Mattner's expertise. ※ 본 교육센터에서는 주차 지원이 되지 않으니 가급적 대중 교통 이용을 부탁 드립니다. 본 특강 자료는 차후 STEN 자료실에 업로드 예정입니다.